I have developed a penchant lately for visiting Farmer’s Markets, and local outdoor foodmarkets. In our part of the country, they are few and far between, and have to be sought out. I love looking at the lovely produce on offer, from near, and a little farther away, made, grown and reared by passionate people who love what they do. On Saturday 28th May, my Daughter and I decided to visit Sage & Stone Summer Fair. I had been to one of the fairs there once before. This time there were different stalls with yummy goodies on offer. Our first stall to visit was that of the wonderful Mr. Georg Heisse. 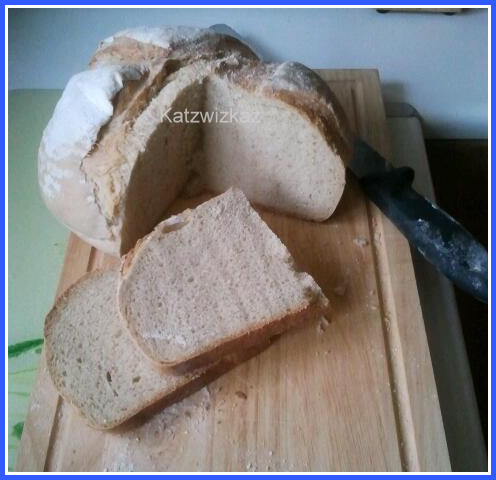 He is a Master of Culinary Art, has two Delis, and produces the most wonderful bread and pastries. 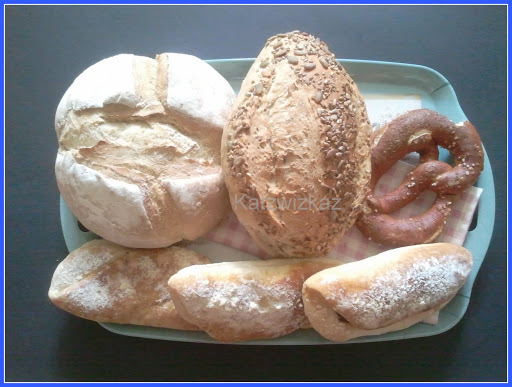 We chose a Sourdough loaf, a Health Mix Loaf with Seeds, a huge Prezel, and three Brioche Turnovers with a mixed berry filling. Moving on, we spotted a trailer in the corner of the yard. Pizza. No ordinary Pizza. Wood-fired Pizza. Daughter was suddenly very hungry. 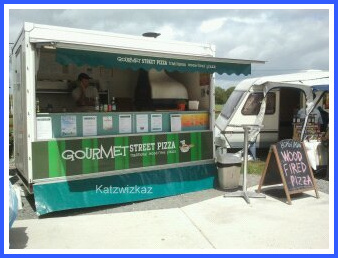 So, lunch came courtesy of Gourmet Street Pizza. 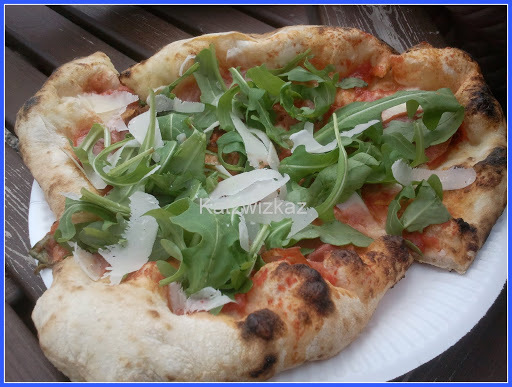 Her choice was a topping of tomato sauce, Parma Ham (which was then cooked in the wood-fired oven), and topped with Rocket, and fresh Parmesan shavings on top. Just like in Italy, the flavour of a pizza cooked in this way is incomparible to any other. Pizza demolished, we decided it was time to move on, so we headed over to the Egg Stall. A lovely man who breeds rare-breed chickens, and rears ducks was there with eggs for sale. He usually sells duck eggs too, but told me that a lady had bought six dozen earlier and all his stock for the day was gone. “Probably a baker”, I said. He thought so! 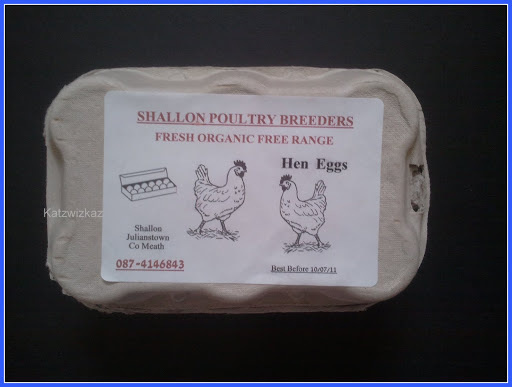 So, having purchased the hens eggs, I vowed to return a little earlier next time. Over in the other corner, we spied a hot food stand. 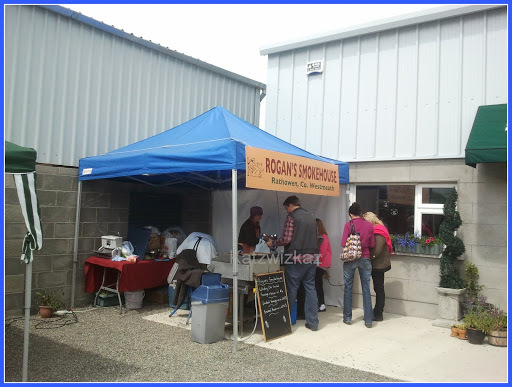 Rogan’s Smokehouse, Rathowen, Co. Westmeath. 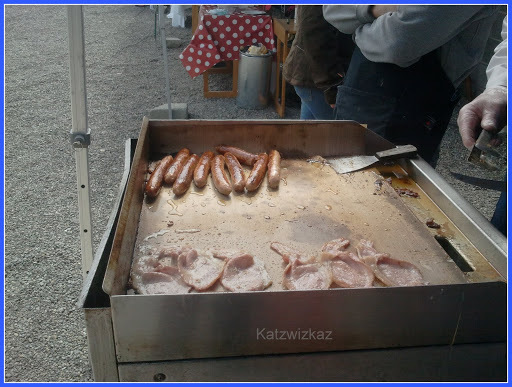 They were selling their Applewood smoked sausages and Whiskey smoked rashers, either vacuum packed, or, as hot snacks in large bread rolls. 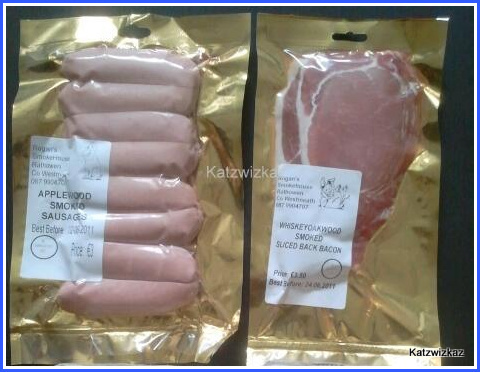 We sampled both the sausages and the rashers, and they were just gorgeous. I had a chat with the stall-holder about where he was selling in to. He went on to tell me about being with a huge UK Supermarket until they decided to squeeze down the price of his other range, smoked fish. Not viable to continue with them, is what he said. They wanted the lowest possible price they could get. Very dis-heartening to hear that, as he is not the only one. He went on to tell me how they came on the idea of applewood, and whisky barrels for smoking after trying out several combinations, and how they just keep going with their ideas. He is hoping to get a deal with a large Irish Supermarket chain in the near future. Our final stop in the Market was at The Cake & Crumb Stall. They make gluten-free products. They had cupcakes, and Macarons and more besides. 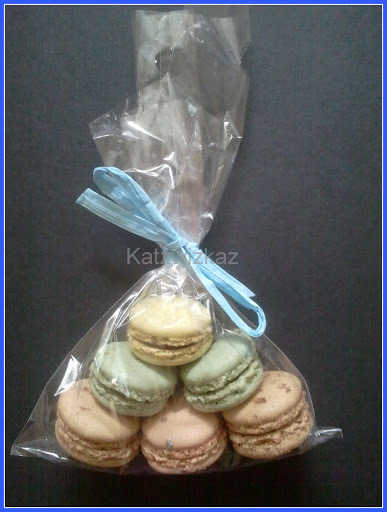 But it was the mini macarons which caught my Daughter’s eye. Delicate little discs of loveliness, with different flavoured centres. I wonder where next my travels will take me? Previous Post Never-Fail Muffins, he said….! It all looks lovely. I was at a local farmer's market but I got very put off when I saw a dog 'watering' the veg.